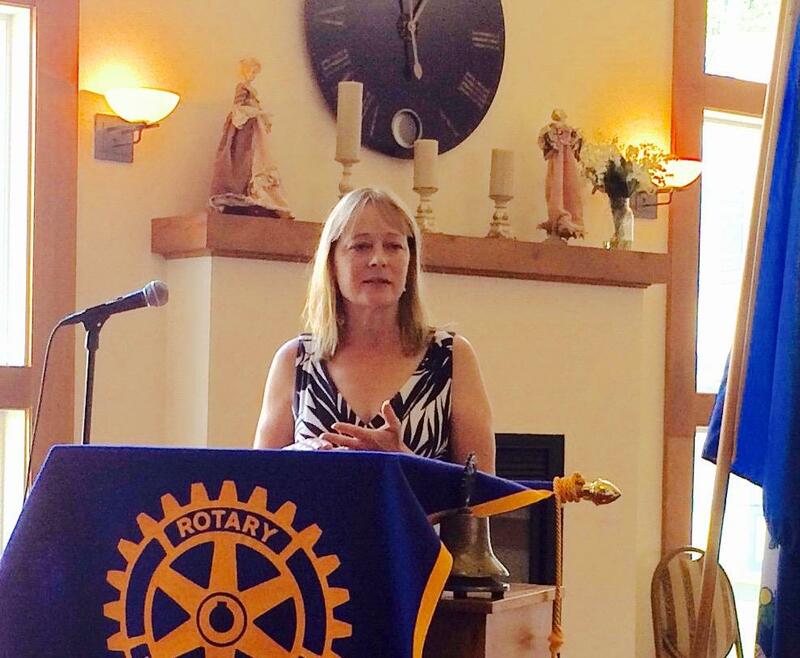 Fran Chapell,member, addressed the Salisbury Rotary Club Tuesday, 8/18/15. We all know Fran and the wonderful work she does through the Canaan Child Care Center. Today though, Fran spoke about herself, her family and the experiences in life that have shaped her into the Rotarian she is today. Frances Claire Bridget Mahar Chapell, yes that is her full name, moved to salisbury to raise her family and has been involved with educating young children ever since. She is a Teacher, a Counselor, a Business Woman, Community Leader, Mom and Nana. Fran spends a considerable amount of time coordinating the efforts of the Northwest Child Care Collaborative. The coordinated effort of 10 different child care centers, the Centers raise funds to supply young school age children with all of the needed supplies for going back to school. From clothing to pencils this group strives to meet the basic needs of every child going back to school. Check out the link below to the United Way. The United Way helps support the efforts of Fran and the Child Care Collaboration through small grants. Please join the Salisbury Rotary Club in donating to this worthy cause. Also join us in thanking Fran for all of her hard work on helping kids and families in Canaan and the surrounding communities. Fran truly lives up to the Rotary standard or "Service Before Self"!